Although tucked away behind staff and regular parking for Turning Stone Resort. Sandstone Hollow the Rick Smith Designed Par 3 Golf Course at Turning Stone is a must play for anyone especially for any Father/Son golfers on a golf getaway like Gus and I were a few weeks ago. 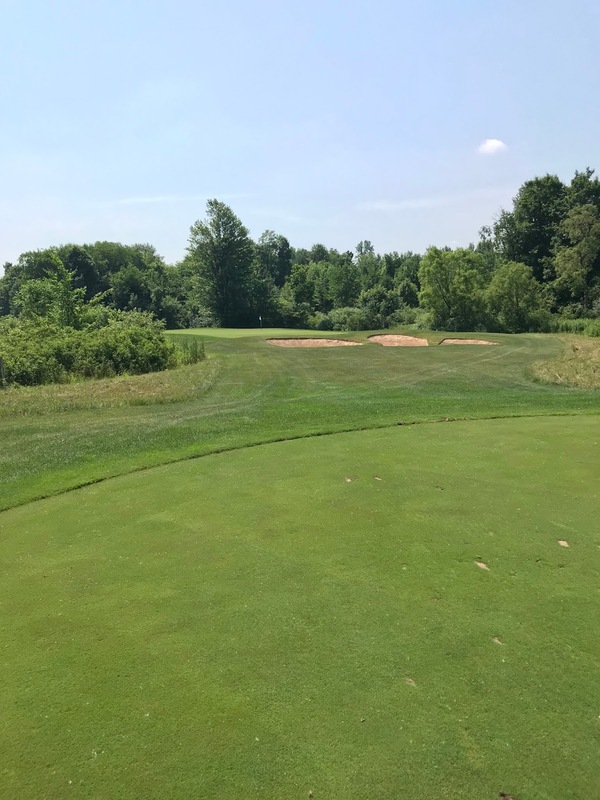 Even though Sandstone Hollow is a par 3 course, each hole is unique and can be played from various tee boxes giving any golfer of any ability a challenge. Gus and I golfed from the forward tees and had a blast trying to get a hole in one. Challenging yourself and your son is fun but still keep it light especially in the Summer heat. 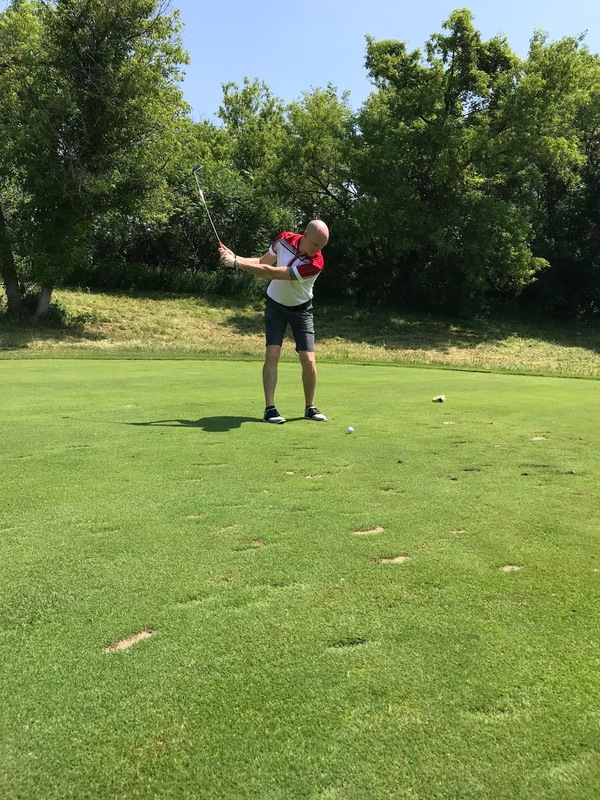 Sandstone Hollow was in great shape with a variety of tee shots and greens that were fair and challenging at the same time. 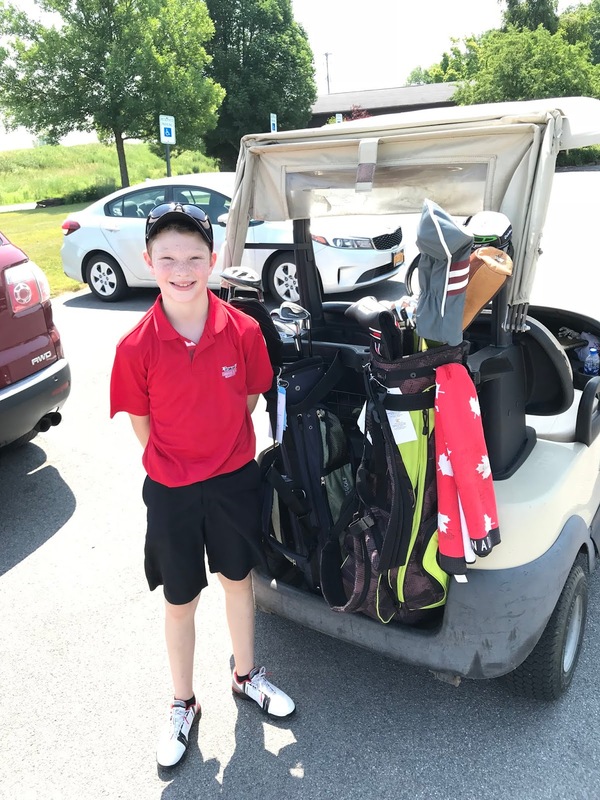 Gus was ready to take on the challenge of Sandstone Hollow on Canada Day at Turning Stone Resort, a great resort to golf with your kid. 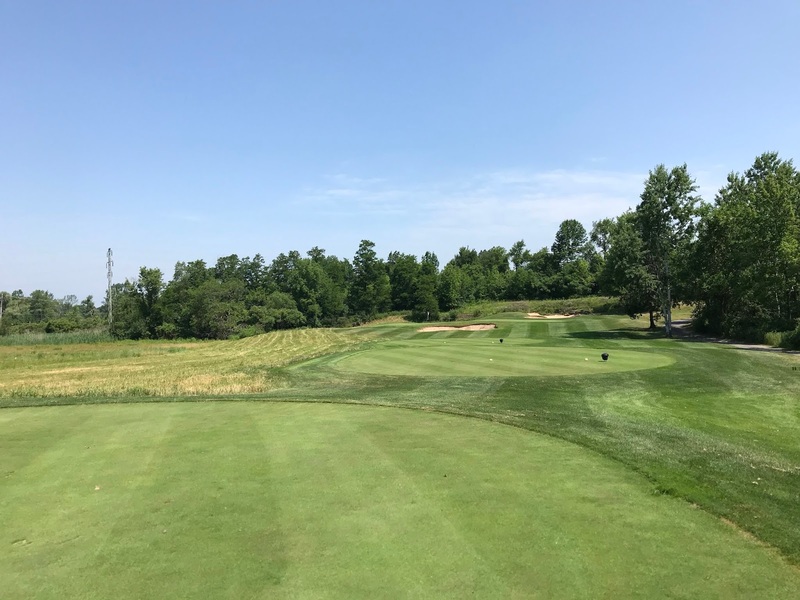 Sandstone Hollow was created so golfers who have just a short window to play 9 holes, could play an excellent golf course that will test them none the less. The 9 hole course winds through woods and wetlands, with greens surrounded by wild fescue grasses and rock outcroppings. A real challenge. The old guy showing the young guy a few things at Sandstone Hollow. 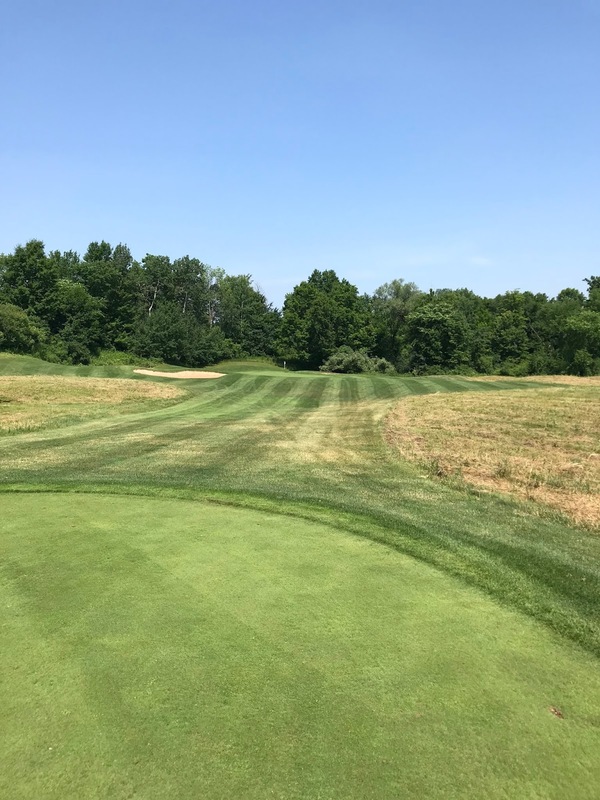 A fun golf course where you can work on your short game. Every golfer needs this both young and old, experienced or not. No tee time needed and quite reasonably price for 9 holes at $15 for Adults $10 for Juniors.